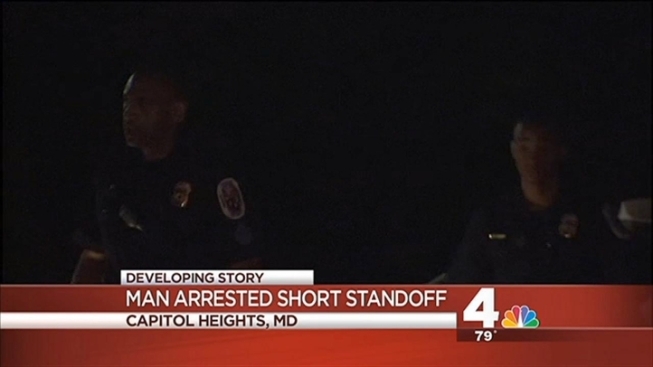 Police say one man was arrested following a standoff in Capitol Heights, Md. Monday evening. According to officials, crews were called to the area after neighbors said they heard shots fired just after 7 p.m. at Marlboro Pike Apartments. The man may have fired shots into the ground then ran into his apartment, where he stayed with two other people during a barricade situation, police said.